I am a pilgrim in an unholy land. Outnumbered many times over by mindless zombies who feel that their geography and habits are reason enough to cast their support behind the jokers who demand their devotion, I find myself often wondering how they can actually choose to support such losers. Am I the only one who sees how often they lose? Am I the only one who notices their natural inferiority? Why won't these automatons embrace the inevitability of my position, or accept the futility of their own? Historically, the "rivalry" between these 2 groups isn't even close. My side holds the advantage of history, and of precedent. We have the undisputed edge - even a suggestion of a divine right to dominate. So why this refusal to accept reality on the part of the people around me? Why can't they see? Like any good supporter, I hope that when the day is won, it will be in our favour. However, looking at the recent performance of the man in charge of our side, there's little hope of victory. He's not a leader, and barring a set of monumental mishaps by the opponents, we won't be seizing the bragging rights any time soon. Blasphemous as it might be, there are a great deal of us who hope he continues to stumble and fail - badly - so that we can get rid of this albatross around the neck of our organization and actually build towards the inevitable victory that history and providence have decreed. In the meantime, though, I'll spend my time being ridiculed and teased for my unwavering support. Such is the life of a minority thinker in this town - even despite the overwhelming evidence that I am, in fact, in the right. Oh, dear God... am I a Federal Liberal? "We're Marching Fight, Fight, Fight On Eskimos..."
Posted by Enlightened Savage at 12:47 a.m.
Oh my! I thought it was bad that you cheered for the Oilers, but to admit publicly that you cheer for the Eskimos...well the first step is admitting that you have a problem. Jun. 26, 2008, 6:31:00 p.m.
hey! 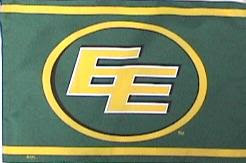 eskimos fan here. hope they come back through the east and beat calgary in the final. Oct. 19, 2008, 5:37:00 p.m.